...and she'll fly if she wants to! Nicole has been consistent with the 6AM Breakfast Club and the 1:30 weekday demolition crew sessions. 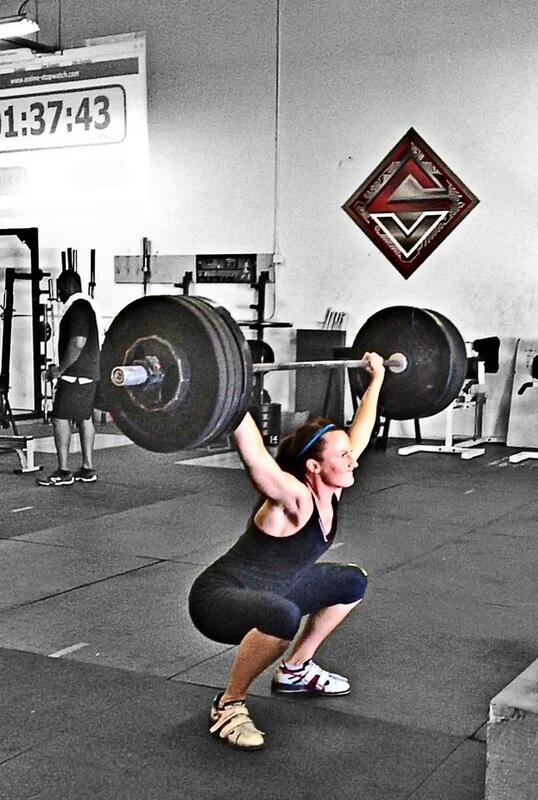 We look forward to 2013 as her hard work and consistency shows in her CrossFit performance! Her willingness to always step out of her comfort zone during tough workouts is very admirable and the essence of how to improve. As a middle school P.E. coach, "Rudy" understands how CrossFit will help people of all ages. She is a teacher with a variety skills which are invaluable and it transfers everywhere. Nicole is a true asset to the CSV team with a deep understanding of sport psychology. She creatively scales a variety of WODs for her students and gives them a taste of true functional fitness. Keep up the great work Coach Rudy! We see a bright future in fitness for you.